ON DEMAND WEBINAR - Register now and see how sales organizations are embracing and adapting to change. CEO, TED Talker, and Best Selling Author Phil Styrlund, along with OppSource CEO Mark Galloway discuss seven definitive forces that are causing each and every chief sales officer to re-think their strategy. Phil recently authored and published a new book titled “Relevance: Matter More”. This book is based on seminal research that Phil and his firm have conducted on the key challenges and forces impacting today’s B2B sales organizations. Coupled with this research are hundreds of one-on-one interviews that Phil has personally conducted with sales leaders and chief revenue officers in many of the worlds largest companies. As Co-founder & CEO of OppSource, Mark is a visionary in the new era of B2B sales. OppSource is a sales engagement platform that gives teams the ability to maintain high-touch and personized outreach to develop a stronger pipeline. OppSource is proven to do three things: increase productivity, scale-up engagement, and double revenue. Join us as Phil Strylund, accomplished author, Ted Talker, Founder & CEO, and former Fortune 500 Chief Sales Officer, reveals the most influential forces influencing today's B2B sales environment. Hosted by Mark Galloway, Founder and CEO of OppSource, the two will discuss how organizations are approaching a host of new challenges, and what it all affects the revenue supply chain. ON DEMAND WEBINAR - Register now and see how sales organizations are embracing and adapting to change. 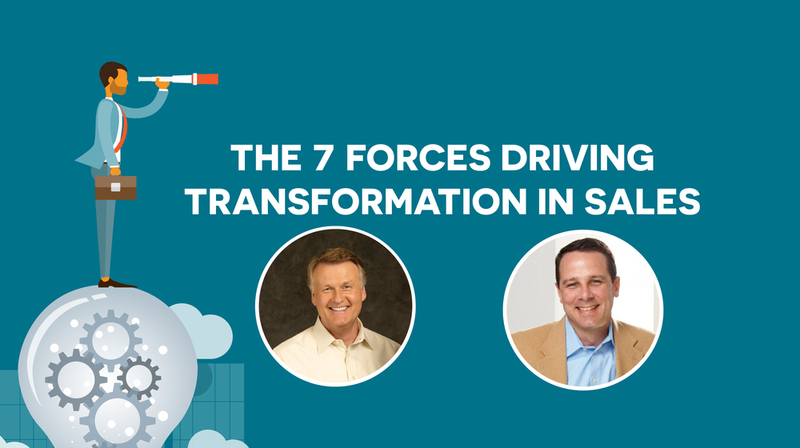 CEO, TED Talker, and Best Selling Author Phil Styrlund, along with OppSource CEO Mark Galloway discuss seven definitive forces that are causing each and every chief sales officer to re-think their strategy.